Calling all of my fellow female warriors! If you have had a period at any point in your life, you know just how awful it is to recognize those symptoms at the wrong time. You know what I am talking about. When you are stuck in the car on a road trip or sitting in a meeting and you don’t have access to a tampon or pad right away, yet, you know it is required like right now! Really, you could name any awkward location and I bet we can find a woman who has had their period start just like that. Think for a minute about what a pain that is and how it can ruin your day. Now, imagine yourself as an impoverished woman who has to deal with this every single time Aunt Flo comes to visit. Whether the cost is too much or circumstances keep them down, these women have to deal with this inconvenience month after month. Think about that, we complain when we are stuck for a few minutes without a tampon or pad, imagine going your entire period without. This is exactly why we need days like Menstrual Hygiene Day. In case you haven’t yet heard of Menstrual Hygiene Day, the goal for MH Day is to raise awareness around the importance of menstrual hygiene management and also showcase the challenges that many girls and women around the world encounter during their menstrual cycles. Everyone’s favorite tampon brand, Tampax, realizes that for some women, menstrual products are not easy to come by. To help combat this need, they are donated one million tampons to underserved women and girls throughout the United States. We all, regardless of age, social class, race or anything else should be able to live our lives like we want every single day whether or not we are on our period. Tampax allows that to happen for each and every one of us. 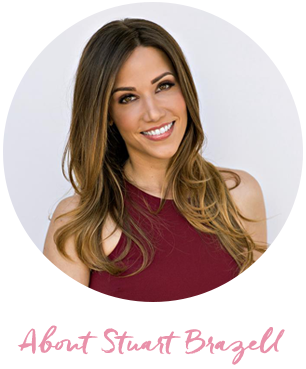 I have been using Tampax for years and I ever since day one, that “period stress” has eased. I love the convenience of them. You can carry them in your pocket and you know they just don’t fail you. I can confidently say that one of my favorite things about Tampax is that they are honoring MHDay and making such an enormous donation that will be life changing for so many women that deserve it so much. Because of this powerful pairing of Tampax and this awesome International Awareness Day, now, finally, these underserved women are going to be able to go on about their day and life their lives to the fullest, no matter what day of the month it is. If you want to learn more about MHDay and how you can help, you can head on over and visit menstrualhygieneday.org. 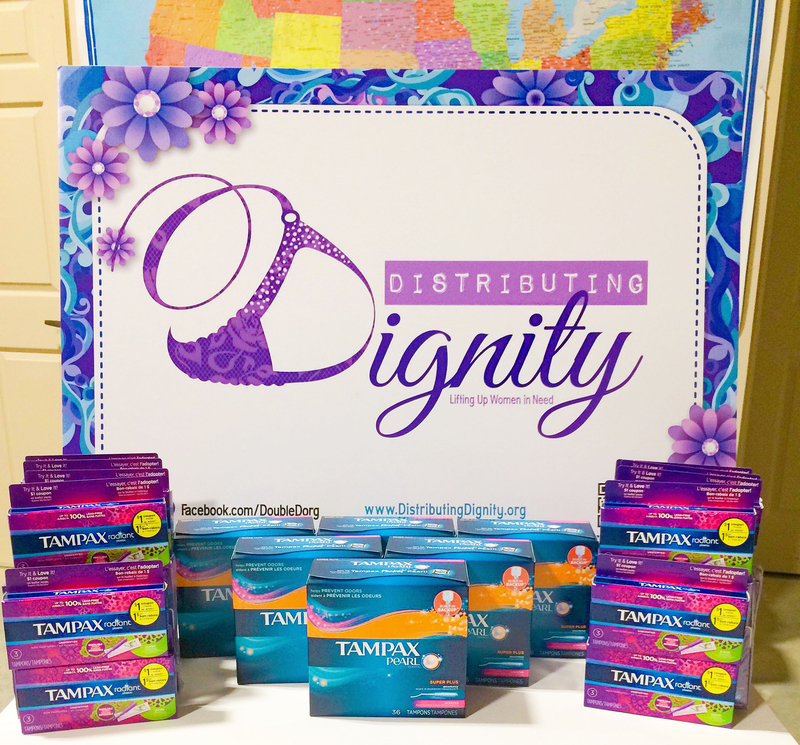 I along with Tampax and proud to share I donated 40,000 tampons to Distributing Dignity. In addition to feminine hygiene products, Distributing Dignity also donates bras to women in need. They’re an all-volunteer organization providing support to women in 41 different cities across 13 states and their mission is to distribute new bras, pads and tampons, enhancing the Dignity of women in need all over the country. I for one am very excited to jump in and help every woman be comfortable with their period each and every day. If you are looking for even more ideas, check out #MHDay on Twitter and other social media channels and see what people are saying! I had no idea this was a day!! Thank you for writing such an informative post on this! That’s awesome that you participated in this day! Didn’t realize it was a thing! its always good to feel supported all month long!! I’ve been a long time user of Tampax. This is great — we need to destigmatize menstrual cycles. I learned something new today, had no idea there was a menstrual hygiene day. Thanks for sharing! I had absolutely no idea this was even a day! Thanks for sharing Stuart and way to go Tampax!! This is amazing love! I adore companies that give back and for such a worthy cause. Never knew that this even existed. Thank you for sharing. I had no idea this was a day! Thanks for sharing darling! WOW what a great thing to celebrate! We are so lucky to not have the issues other women do aroudn the world. What a great cause! Thanks for bringing awareness. 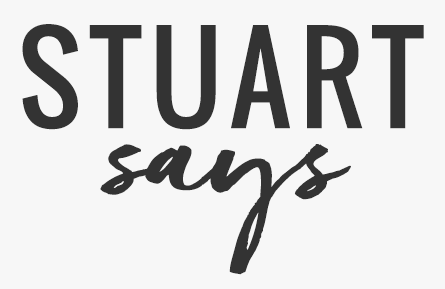 They make great products! Tampax is definitely the most comfortable brand! How did I miss menstrual hygiene day?! haha! Seriously though, Tampax is my go to brand for tampons. I love that they’re supporting a good cause and promoting menstrual health. Makes you feel good about supporting a socially conscious brand! This is a day! I have been using tampax for many years!! I love that you bring topics that some may be uncomfortable discussing! Well, I am excited to know that there is a day like this – I loved what I learned! I have been using Tampax from the beginning!